We all know how it works these days, especially with the technology sector! It’s constantly changing and new models are being released every few months. 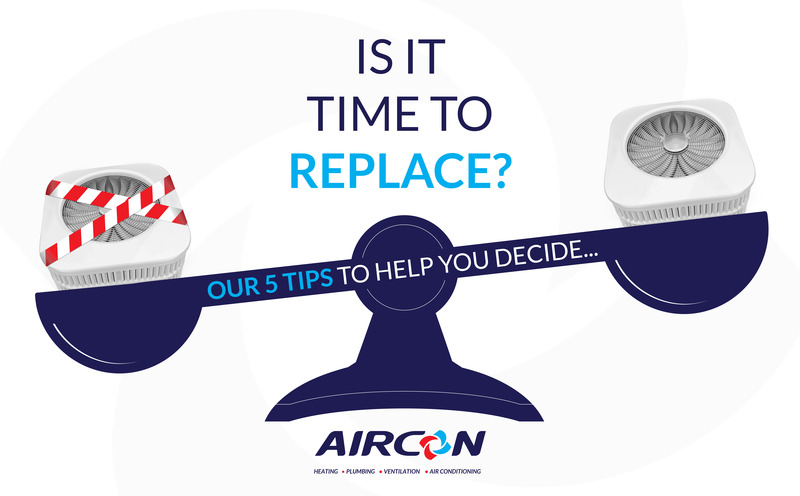 If you’ve read our blogs on service and maintenance *self-plug – check them here if you haven’t…* then you’ll know how to keep your air conditioning units working effectively for the longest possible time. Service and maintenance is important like we always say, but you shouldn’t need it more than twice a year. Do you find you’re needing it fixed on a more monthly basis? Or even quarterly? It’s a pretty big sign your units on its way out. You’ve probably heard about leaks a lot in relation to air conditioning and let’s face it, it can be a common problem. However are you remembering that it’s a legal requirement to get an annual leak test done? Check out our F-gas blogs to stay in the know. Is your temperature playing up? Have you set it to cool and you feel like nothing’s happening? Chances are it’s on its way out. The fact is, if you set it to room temperature and you feel like you’re in the Sahara then maybe replace the current system. A huge concern for office managers are the associated costs of your unit once you’ve installed it. Newer units which feature up to date technology should work at optimum efficiency, meaning that once you’ve paid for the installation and kept up to date with *ahem* maintenance – it should cost you very little. However, that older unit could be causing an increase in monthly bills. We all know that in order for a business to boom, managers need to keep office costs low, so sometimes it’s integral that you spend in order to save. Quite frankly – it’s ancient! Let’s strip this back to discussing cars. If your car is over ten years old, chances are it runs right? You can get from A-B? But it looks worn, the interior is tired, the fans for your air conditioning blow hotter or cooler than you’d like and the entertainment system functions are temperamental. Well in all honesty, it’s the exact same for your air conditioning unit. How old is yours? You may think it’s working effectively but do you find its taking forever to heat or cool down your building? Does it look OLD? On top of it all, modern workspaces are beneficial for moral, and if we’re being a little biased (just a little…) our Daikin and Mitsubishi installations are super sleek and flattering for any office design. Feel free to request a site visit on 01224 536555 to see how your unit’s getting on. Are you an F-gas Violator?